About the Author: As a freshman at the University of Colorado, N.K. TRAVER decided to pursue Information Technology because classmates said "no one could make a living" with an English degree. It wasn't too many years later Traver realized it didn't matter what the job paid--nothing would ever be as fulfilling as writing. Programmer by day, writer by night, it was only a matter of time before the two overlapped. 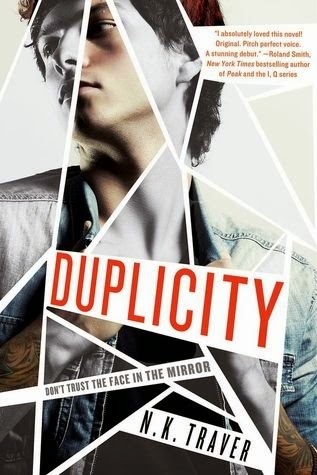 Duplicity is Traver's first novel.